The Mets have already started their final game in their series against the Nationals today, and I couldn’t help but notice the frustration on Jayson Werth’s face as he tossed aside some of his equipment aside after popping up against Chris Young. You see, Moneybags Werth is cashing in on a 7 year (that’s not a typo), $126 million contract (that’s not a typo either). Before I go any further, let me just add that this kind of money-tossing is something that pushes me further and further away from enjoying the game, when there are public servants and educators out there who bring in just a hundredth of what some athletes make. The Mets fan in me can’t stop celebrating Werth’s awful start, being that he plays well against the Mets, especially when he was in Philadelphia. 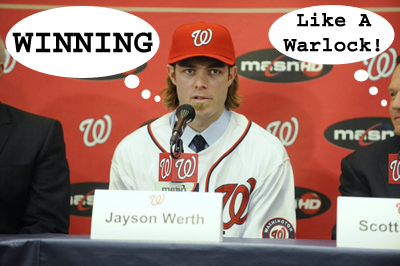 The ‘disgusted by the greed’ fan in me can’t stop celebrating Werth’s awful start. We won’t really know how much pressure Werth is feeling until midway through the season, or perhaps until the season is over. But for the time being, he’s just another overpaid athlete who’ll rake in the big bucks even if he stinks it up. 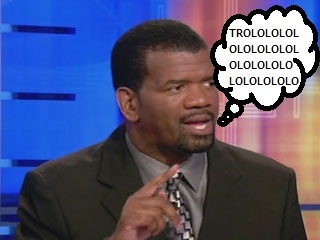 Congratulations, Jayson. You win in life, apparently. Update: It looks Werth’s slow start isn’t going unnoticed, as Kevin Callahan of the Courier Post asks the important question: “Will the Nats soon see Werth at his best?“. 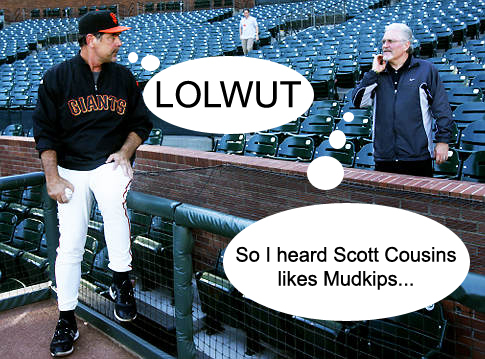 It’s your move, Jayson. Enjoy the multi-million dollar pressure! Thank you, Manny Ramirez, for taking some attention off of the Mets (even if it’s just for today) after they lost to the Nationals today. Dickey looked a little lost on the hill while Zimmermann pulled a ‘Josh Johnson’, the bullpen was equally as spotty, and while sports writers are eating it all up… you decided to call it quits. Thank you, Manny Ramirez. Thank you. 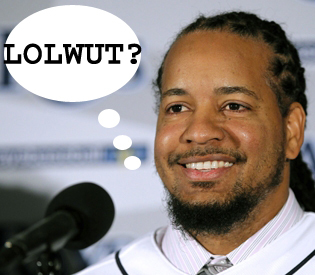 Why, Manny Ramirez, would you call it quits so abruptly? You couldn’t help yourself? You stayed with the ‘program’ and were so close to really starting fresh again. So instead of growing a pair (which I’m sure is hard, being that they’re probably the size of raisins by now), you decide to walk away and call it quits like a coward? That’s quite the example you’ve just set. For all of the charities you’ve ever been involved in… For all of the community events you’ve been a part of with the teams you’ve played for… For all of the children and those who dream of walking in the footsteps of some of the greats… You really set quite an example with your cowardly decision. But I don’t care about Manny. He was caught a second time and instead of being open and honest, another one bites the dust. He’s just another athlete who thought he could cheat the system, and when the system came knocking, he opted into the witness protection program. Typical, cowardly, and forgettable. Did I mention the Mets looked silly against the Nationals today as they walked 9 batters and… I mean… Steroids McNeedle retired today! Thanks, Manny!